October 26, 2012 / P.J. In the big scheme of life, three years can be a long time. Over the course of three years, people can accomplish many things. You can get a college degree in three years, if you work hard enough. Three years is the difference between those graduating high school at age 18 and being able to legally drink. Three years is 1,095 days — or 1,096 if there’s a leap year in that stretch. For Matt Sime, three years means so much more. Sime, who claims Alden, Minn., — or his van — as his home, has been playing disc golf for three years. 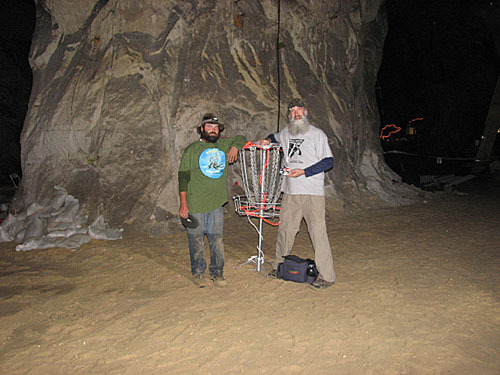 In that three years, he’s really explored disc golf courses around the country. Exploring courses is something most disc golfers can probably claim to have done during their first three years in the game. But can they claim 1,000 courses played? Yes, you read that number correctly. On Sept. 31, Sime played his 1,000th course in his third year of playing disc golf — an amazing number to be sure. He wasn’t the only one celebrating that milestone though — Dan Kilgore teamed up and played his 1,000th course at the same time, albeit taking a bit longer to reach the milestone. To be fair, Sime got his first glimpse of the sport in 2004 at Vermilion Community College (Ely, Minn.) in 2004. But he said he only played the course once and there was no follow up. 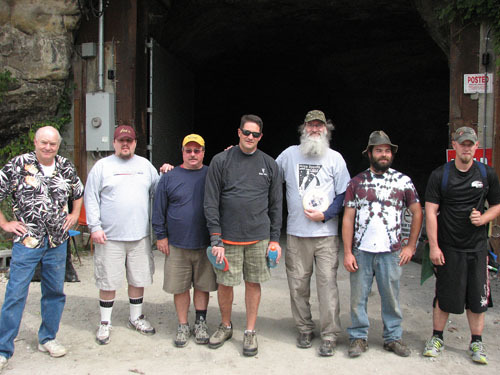 Then in 2009, sometime about Easter, he was on a rock-climbing trip at Horseshoe Canyon Ranch (Arkansas). He said he caught a glimpse of how great the game could be. With rental discs and course fees included, he said he played at least three rounds that weekend. Again, a break followed, but much shorter this time. It was Thanksgiving 2009 when he got his first taste of hitting a bunch of courses. He was on another rock-climbing trip with the same group of friends and they decided to buy a disc and check out the local courses near Las Vegas, Nevada. He played 998 of the courses in fewer than three years. The other two were the original ones. Early in the run, disc golf was a side attraction to his travels. Then the addiction to the sport started to take over. He took one trip during March and April of 2009 where he played more than 100 courses on a 40-day trip. That jaunt took him from Minnesota to New Orleans to Georgia to North Carolina and back through Kentucky for the Bowling Green Amateur Championships. “After the first couple of hundred courses, I realized it was inevitable that I would reach 1,000 and I saw the milestone on the horizon,” he said. “I didn’t ever give it much thought. It was really never a goal that I had set for myself. That 1,000-course milestone seems like something it would take other people decades to complete. Ohio resident Kilgore approached his 1,000-course milestone at the same time Sime was on pace to reach it. About a year ago, Sime said Kilgore brought it up that the two could play the milestone course together. Kilgore started playing in the spring of 1989 after reading a disc magazine at a library. He’s been involved with the game for such a long span, he has a four-digit PDGA number (4697). He’s played at the pro level, but mainly plays Am masters now. Finding 1,000 courses was the furthest thing from his mind when he started. However, he said after the 1991 Am World Championships in Detroit, he knew he found his niche. “I missed the cut and still had a few days of vacation to use and didn’t want to go home just yet,” said Kilgore, who has played in every state, four Canadian provinces (British Columbia, Ontario, Quebec, Prince Edward Island), and England. So, he asked around the campground he was at and people suggested he should play all the courses around Lake Erie. Kilgore headed into Ontario and played the V.A. Barrie course, hooking up with some cool people. Sime said he doesn’t plan the courses he’s going to hit. Knowing which direction he’s going usually isn’t even decided until he gets into his van and gets rolling. Though he has an idea of what area he wants to cover, he usually has one or two months of time to utilize, so he can change if needed. He said he’ll usually know a couple of courses he needs to hit, but everything else is off the cuff. He’ll wake up to the sounds of a semi-truck, idling 15 feet away from his head. But that’s the beauty of camping in a Wal-Mart parking lot. The place is a safe haven, he says. He doesn’t get bothered, outside the idling trucks. Sime will wake a bit before sunrise and try and be to a course before the sun is up. Logging into DGCourseReview, he’ll find a nearby course and he’s off. He plays the round quickly and is back on the road. Using the website, again, he’ll find something close again. Say, maybe a 3.5-rated 18-hole course just outside of town. He’ll play quickly by himself. Maybe he runs into a group of guys practicing on a basket. A chat follows, they are interested in his story and he joins them for another round. If luck is upon him, there’s a doubles round that night at another course. Of course, Sime is in. Leagues and meetups are something Sime said he’s always into. And with time between the doubles round and when he finds out, he may as well hit a couple 9-hole courses along the way. Then it’s the round of leagues, or maybe even a glow round. A drive to a National Forest is only 45 minutes away, so he can camp away from the idling trucks for a night. Sime seems to live the life every disc golf junkie would love to live — being on the road, playing disc golf and enjoying life. Each course, too, seems to fit exactly what he’s looking for — experiencing what each has to offer. Sime estimated he’s traveled more than 50,000 miles on his trips, which have either been in his van or a Honda Civic. Every course he’s played has been in the continental United States, in all 48 states. “I typically head out for one or two months at a time, making loops from and back to Minnesota or from Minnesota through Wyoming and back,” he said. With two sets of eyes and 1,000 courses each, Sime and Kilgore each can talk about favorite and least favorite courses. Sime had a hard time picking two or three courses as his favorites. In fact, he said there’s at least 50 courses that stand out as his favorites and at least 20-30 worth noting. Some of the top ones he noted included Highbridge Hills (Wisconsin), which includes 10 possible layouts, a lodge and a hot tub. 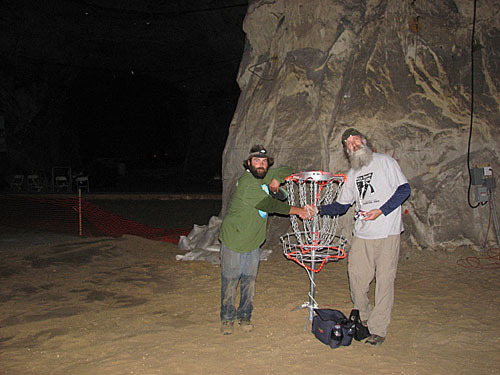 He also named the International Disc Golf Center (Georgia), Birds of Paradise (California), Mont du Lac (Wisconsin), Flyboy Aviation (Georgia) and a whole host of others spanning from coast to coast. Kilgore’s choice is a bit easier. His favorite is one he had the chance to name after his grandfather, Miles Specht. The Miles Specht Memorial Disc Golf Course at Freelander Park is located in Wooster, Ohio. “It’s not a world championship disc golf course, but it’s a course where you’ll have a hard time shooting par,” Kilgore said. One thing I like about this course more than other newer courses is that for every hole that’s over 200 feet, I have a novice tee-pad for all those one-disc players out there. He also said Boylan Family Farm (North Carolina) is among his favorite courses. And, of course, if one plays that many courses, there are always going to be some that don’t make the cut. Sime said he usually finds most courses to be decent. He did point out a few, however. Clarks Grove (Minnesota) stands out as the worst to him as it basically had nine baskets in an area the size of a football field. No trees, no elevation, no tees. Then he said there are courses such as Black Hawk State Park (Iowa) and Willow Knolls (Illinois), which are object courses where the tee areas may or may not exist, and the same can be said about the target posts. Or, a place like Zion Ponderosa Lodge as it has nine 100-foot holes crammed into about an acre of land. It also used hula hoops on poles as the targets. Once Sime and Kilgore got closer to the ultimate goal, they had to pick the spot. 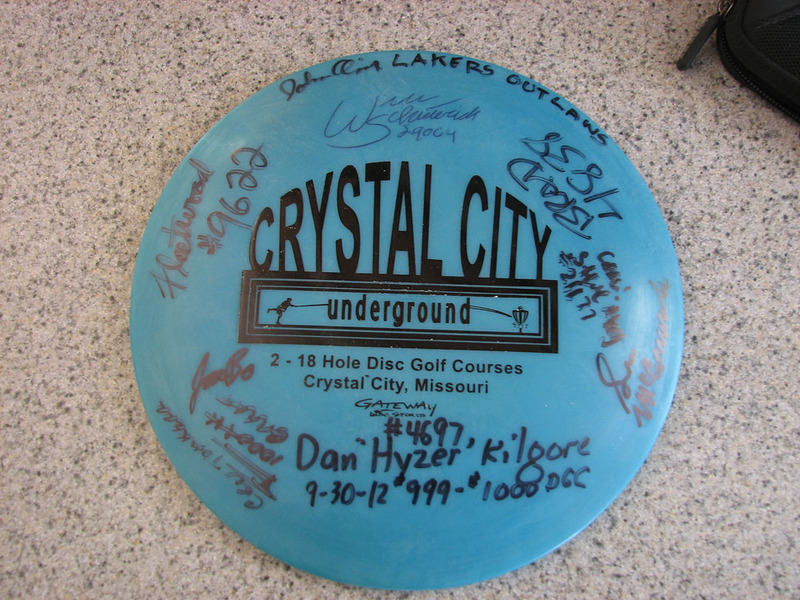 They chose Crystal City Underground, the world’s first sub-terrain course, located in Missouri. The duo — along with a slew of friends — played both courses at Crystal City for their 999th and 1,000th courses. 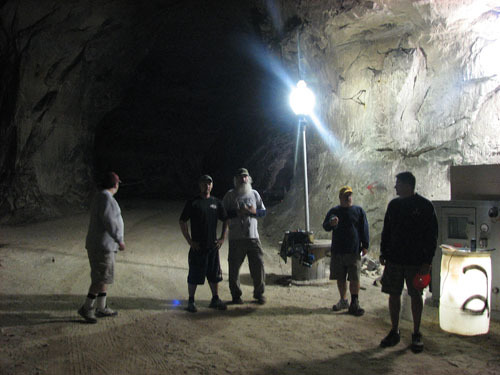 “Dan proposed the idea of the cave course as a unique location for the experience,” said Sime, who noted Kilgore had an attachment to that area of the country. In the end, the course seemed to work out as a perfect spot for the two to celebrate their milestone. Sime said the drive to the course isn’t like any other. The course, he said, was accommodating and the owners arrived to meet the players an hour before it was scheduled to open for the day. The entrance has a giant television and a bar. They paid their $10 ($5 per course) to play and grabbed a few beers. It’s not likely either of these two will stop visiting more courses. Maybe 2,000 could be on the horizon. Kilgore noted his job has allowed him the chance to travel and play disc golf. So though the lifestyles are different between the two, they seem to have the same idea about visiting and playing many courses. Thank you for a great article reflecting on the journey of Dan and I. It continues to be an amazing journey.